RARE OPPORTUNITY EXCELLENT PRICE ON ANGUS DRIVE. OVER 4,000 sq.ft. 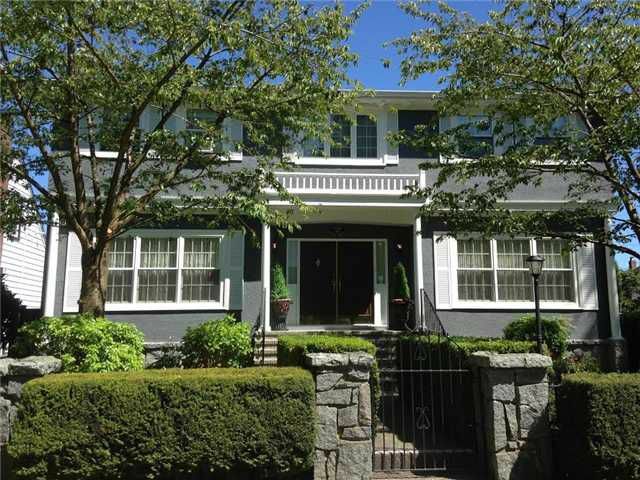 OF MANSION SITS ON BEAUTIFUL LEVEL LOT 56 x 120 located in most PRESTIGIOUS SOUTH GRANVILLE LOCATION. CLOSE TO WELL KNOWN SCHOOL CATCHMENT; MAGEE HIGH SCHOOL, MAPLE GROVE ELEM, CROFTON, YORK HOUSE & ST. GEORGE'S PRIVATE SCHOOL, UBC, TRANSIT, SHOPPING. This update beautifully home simply offers newer roof, NEW KITCHEN, newer hardwood floor, new paint, grand foyer with high ceiling, extensive used hardwood thru-out, gourmet Kitchen with high-end appliances & kitchen cabinetry. Secured fenced yard with PARK-LIKE GARDEN. One or Two bedroom suite in lower level as mortgage helper. MUST SEE!